Refrigerator located in top section; freezer on bottom. 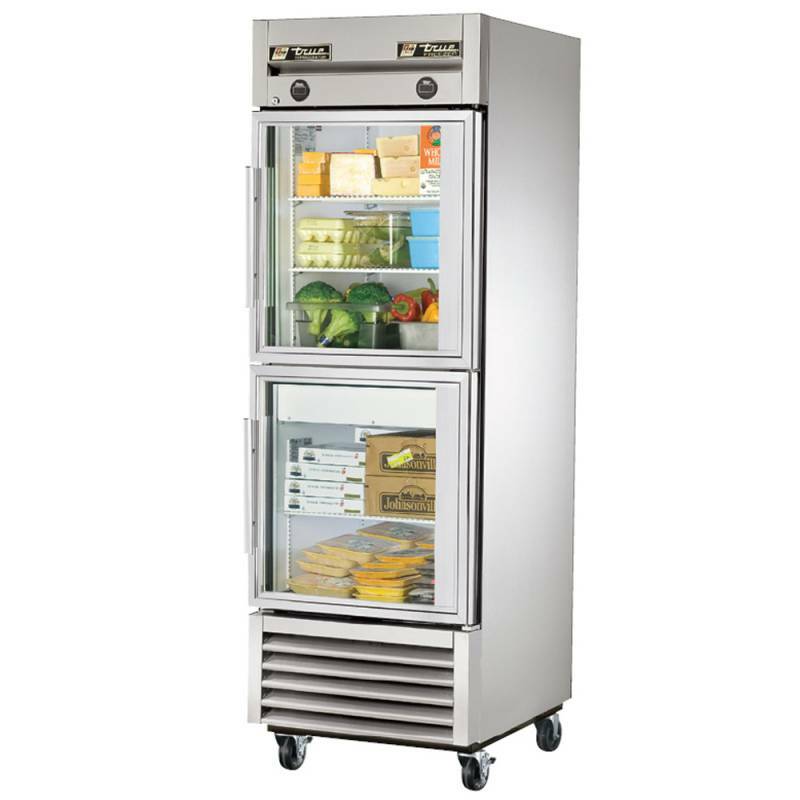 Equipped with two, self-contained, independent refrigeration systems. 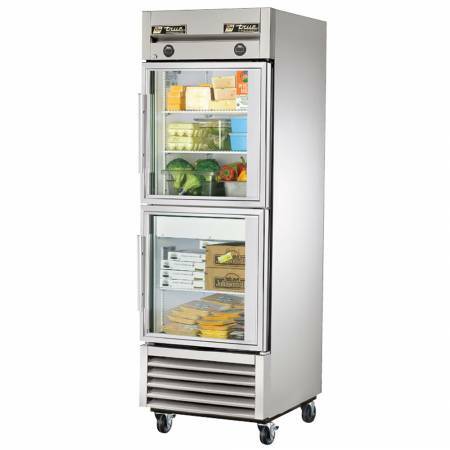 Oversized and factory balanced; refrigerator section holds 33°F to 38°F (.5°C to 3.3°C); freezer holds -10°F (-23.3°C). 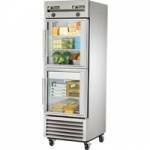 Energy efficient, “Low-E”, double pane thermal tempered glass doors in refrigerator section. Energy efficient, triple pane themal insulated glass doors in freezer section. 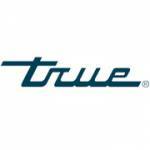 Compressors perform in coolest, most grease free area of kitchen.